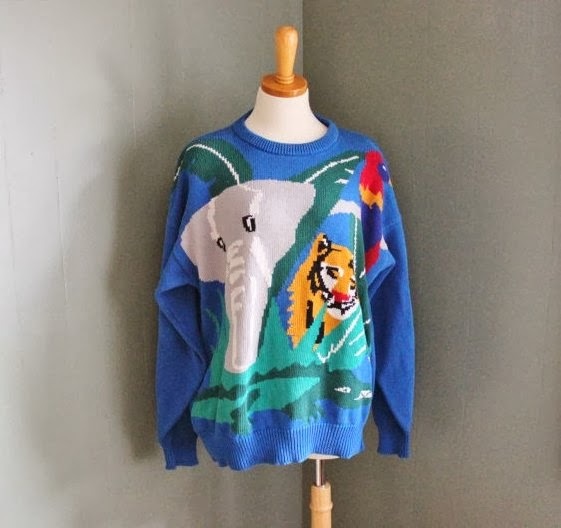 An interesting vintage animal sweater appeared in my instagram feed, which is going to be sold in an upmarket secondhand store called Doubletake Recycled Luxury Boutique in Atlanta. I'm rather a fan of animalia fashion, as seen on a previous blog post here, so it is no surprise being so intrigued with this particular piece of knitwear. What I find interesting, is a comment associated with it: "It's a vintage Krizia animal sweater size small. These on 1stdibs sell for over $500 and even on Etsy for $300." Wow really, did I read that right? Secondhand sweaters selling for US$300 - US$500? What makes vintage Krizia knitwear so special to accompany such a high price tag? Krizia was founded by Mariuccia Mandelli in 1950 in Milan, Italy, is a designer and manufacturer of women's handbags, clothing, footwear, and perfumes. 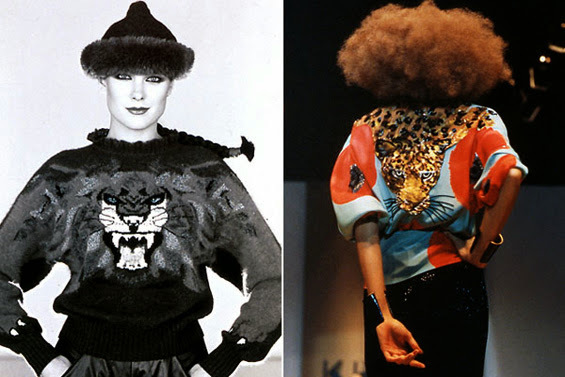 In the early 1980's, Mandelli's animal motif knitwear appeared as a signature pieces featuring tigers, wolves, elephants, dinosaurs, colourful birds, parrots and more. A few years ago, Krizia animal sweaters started to claw their way back onto the fashion scene, as seen here and the Olsen twins wearing an alternative animal sweater brand here. 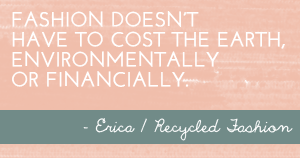 When any fashion garment starts to trend, high price tags can accompany the fad, but can one justify such an outrageous cost for what is essentially every day casual wear? It may be so that some Krizia sweaters are cashmere, but we aren't talking about posh frocks or diamante heels here, sweaters are predominantly worn as around-the-house winter wear. 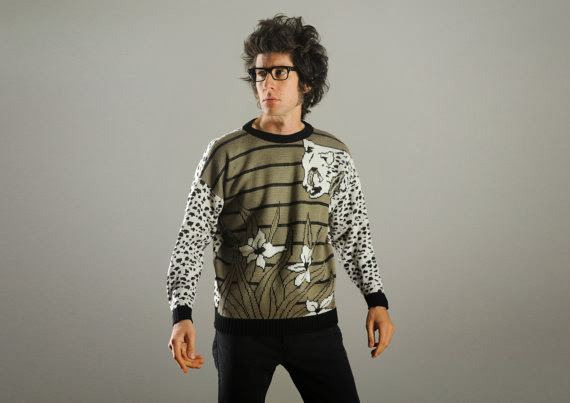 Autumn (fall) reaches the Northern Hemisphere, and perhaps animal motif sweaters appear on some fashion wishlists. 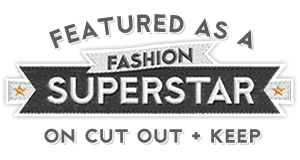 Fear not though fashion lovers, you need not be too concerned by such high prices associated with Krizia when there are plenty of cheaper alternative secondhand animalia sweaters available to buy. 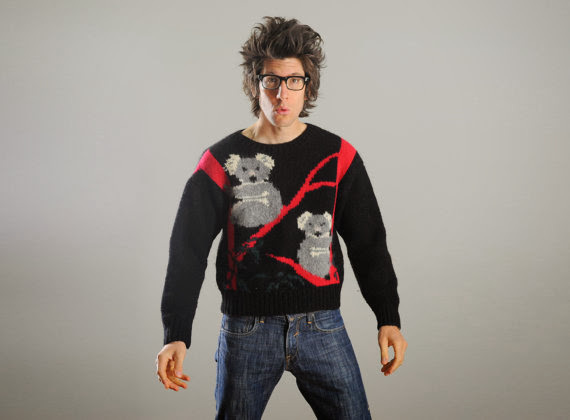 There are plenty of cheaper alternatives to Krizia animal motif sweaters that can be found online, although I'm quite sure thrift stores far and wide would stock similar knitwear at prices that are much more friendly on the wallet too. 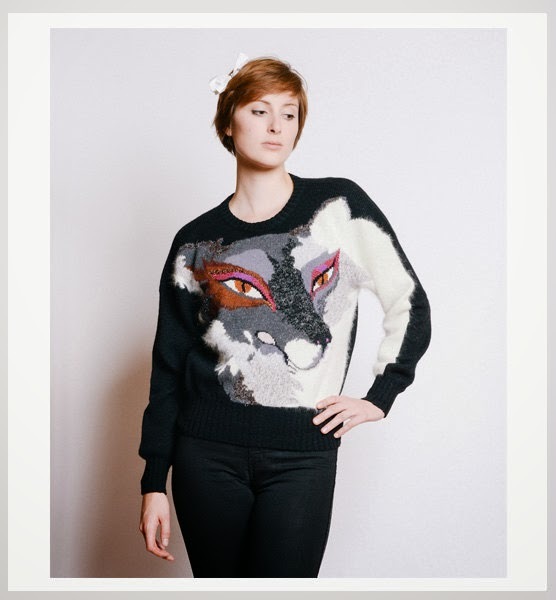 Are you a fan of Krizia animal motif sweaters? Could you justify spending such a high price for one? Obscene prices, but oh so divine! Never even heard of them. Not sure I paid that much even for my wedding dress, so I wouldn't pay that for a sweater. Plus it rarely gets cold enough for one here anymore. I have never heard of Krizia until now. I would not pay that much money for a vintage sweater.